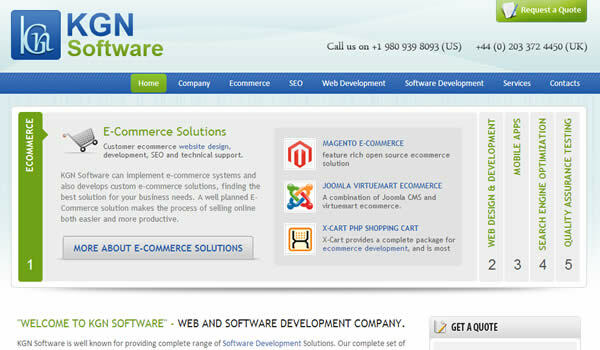 KGN Software is Website development and Ecommerce developer company based in india. We have proven track record of Delivering Large Websites in good amount of time. We can help you with Website Development, Ecommerce development, Magento eCommerce development. I like the nice clean design and the sliding box works brings out the details.